While there are a few nice parts of town, most of Goldsboro looks terrible. When we think of suburban sprawl, we usually think of larger cities. In Goldsboro, everything seems to have moved out to a huge Walmart on the highway. 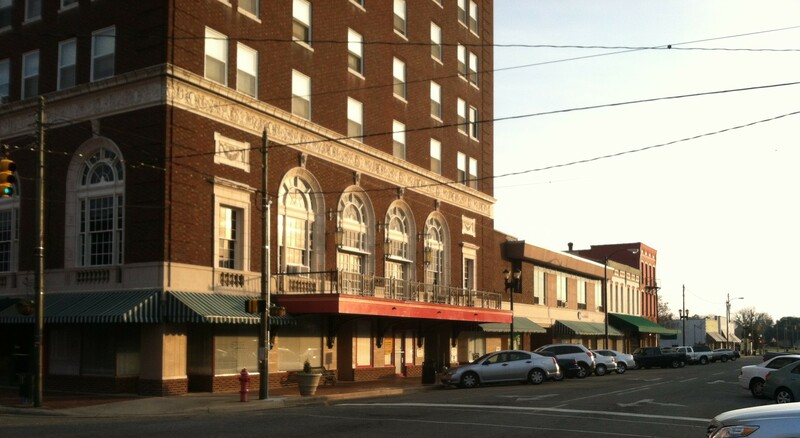 The downtowns of cities larger than Goldsboro have rejuvenated themselves in recent years. 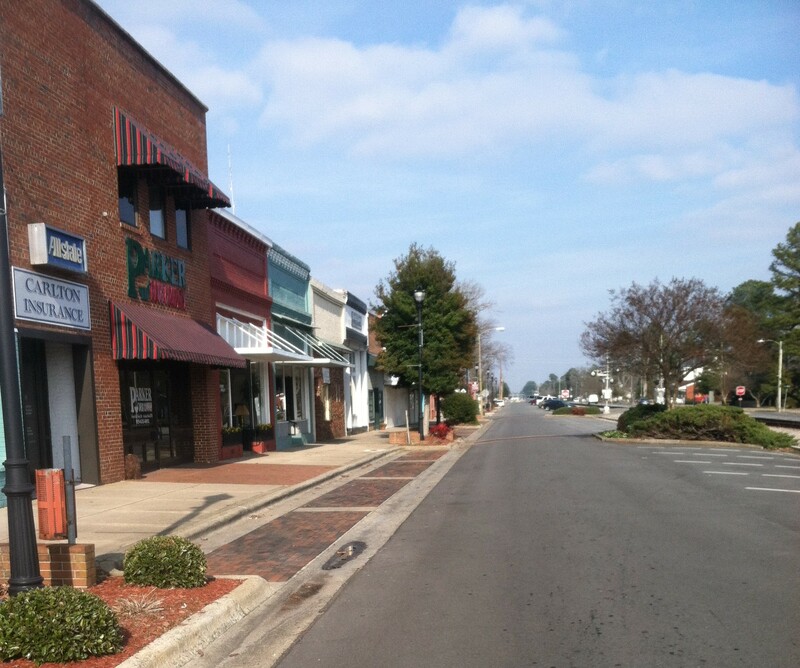 Goldsboro looks bleak and abandoned, despite obvious government efforts to widen the streets, add benches, and such. Meanwhile seventeen miles away Mount Olive looks practically prosperous. Mount Olive College is there, as well as the headquarters of Mount Olive Pickle Company.